Jungle Ide adds the ability of creating code regions in your programs while it maintains compatibility with the underlaying Monkey compiler. 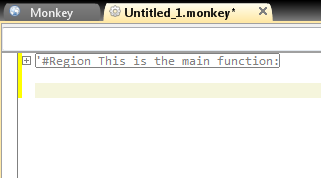 To do so, Jungle Ide uses a self defined directive called Region. 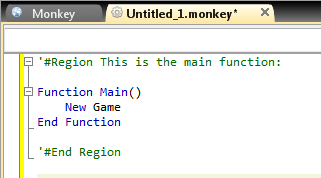 You can see how Jungle Ide adds a folding node when it founds the ‘#Region directive.